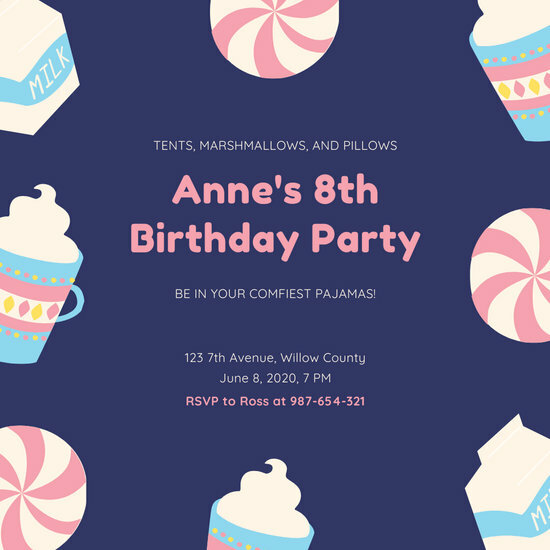 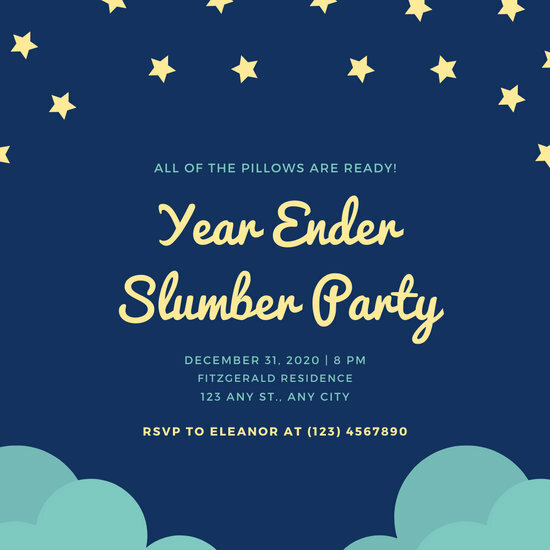 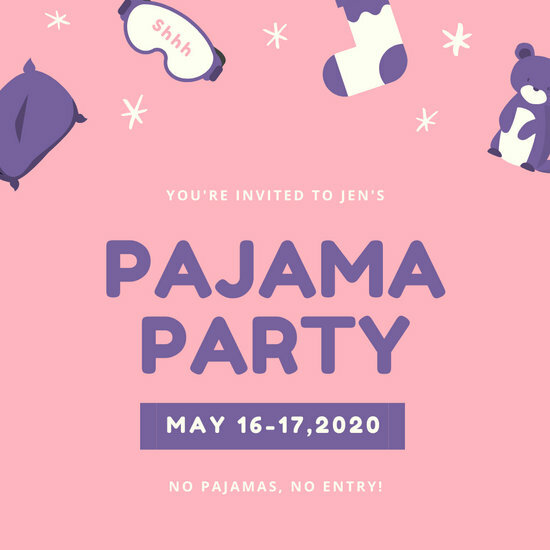 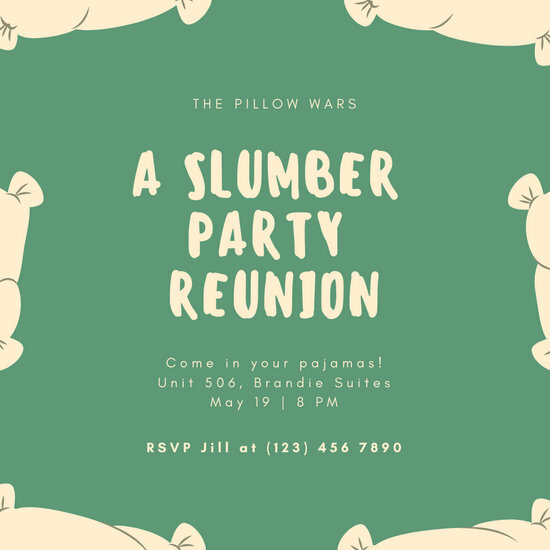 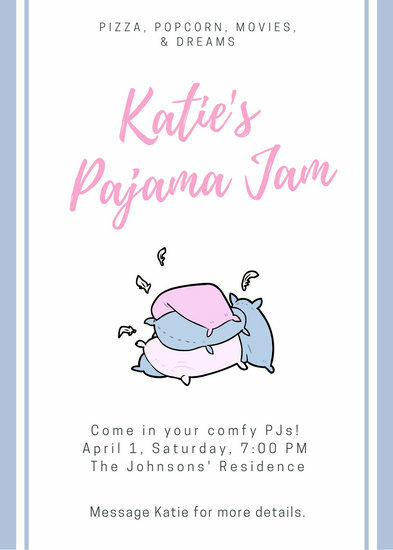 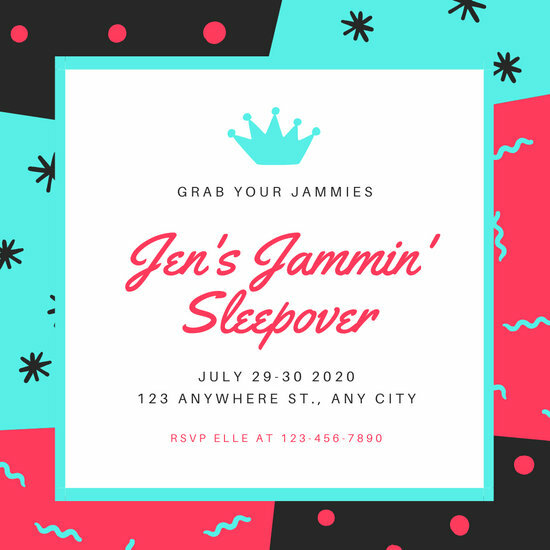 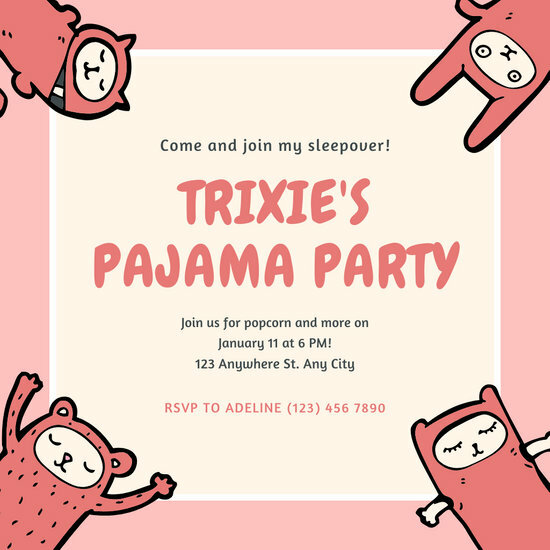 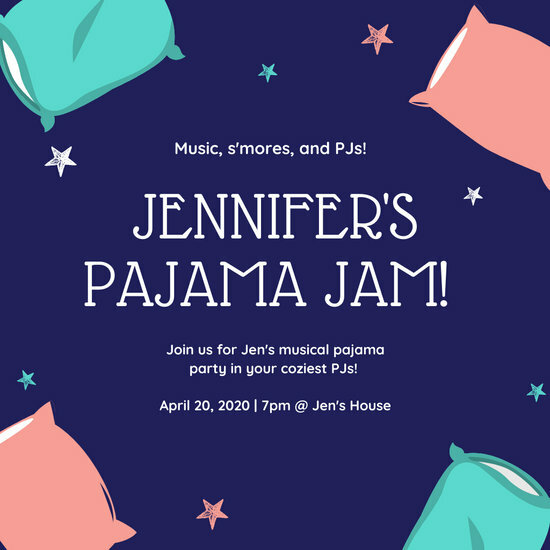 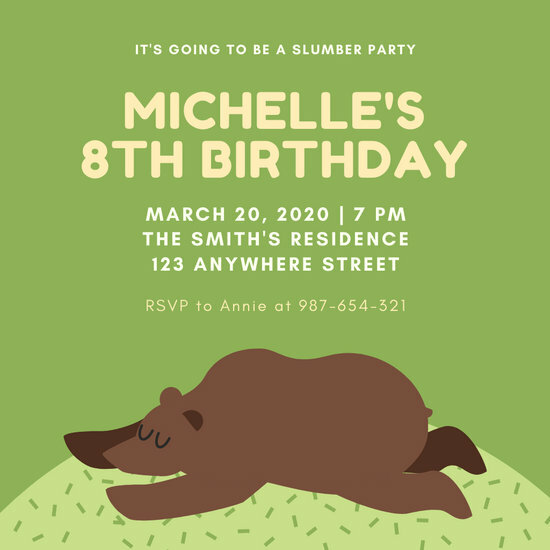 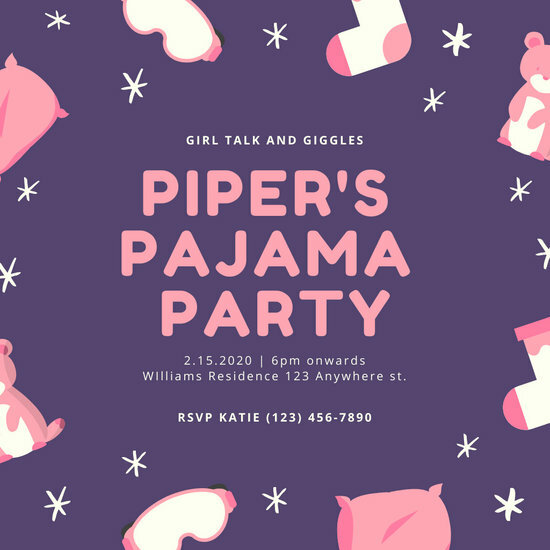 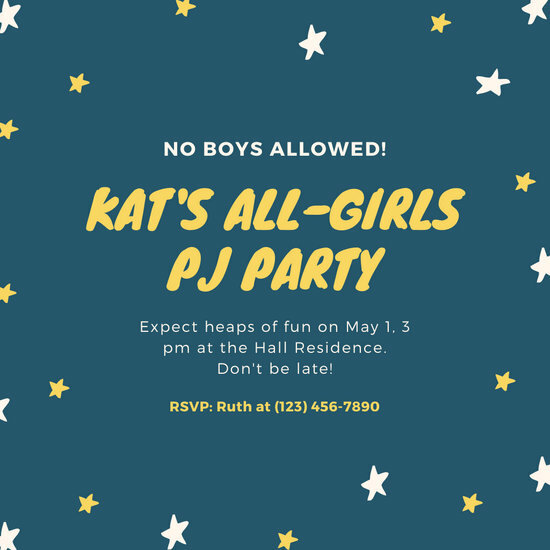 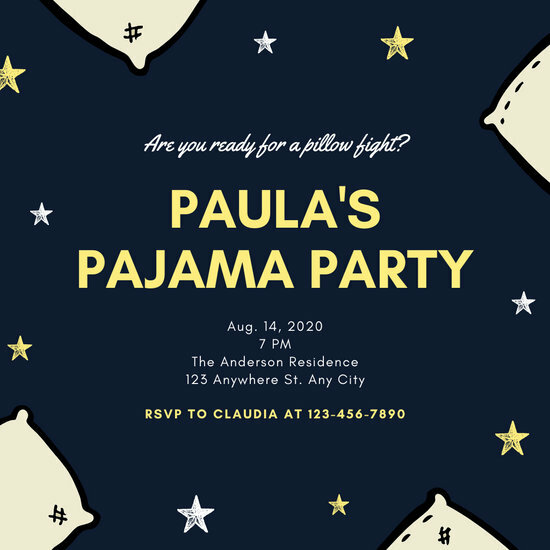 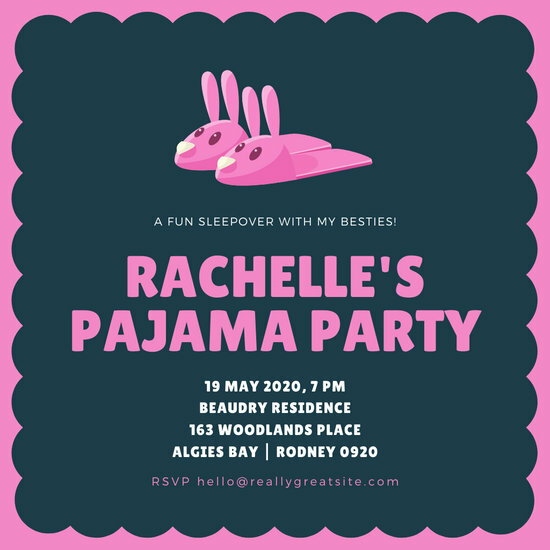 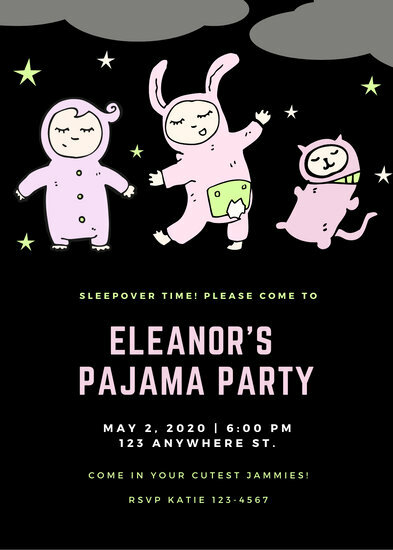 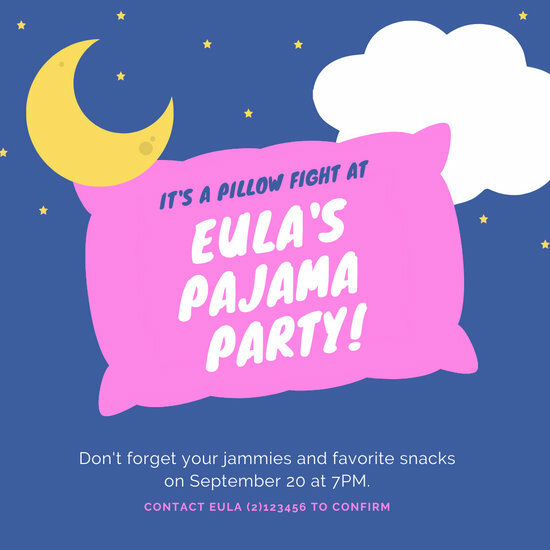 Spread the word about your upcoming pajama party with custom Canva-made invitation templates to get your guests excited. 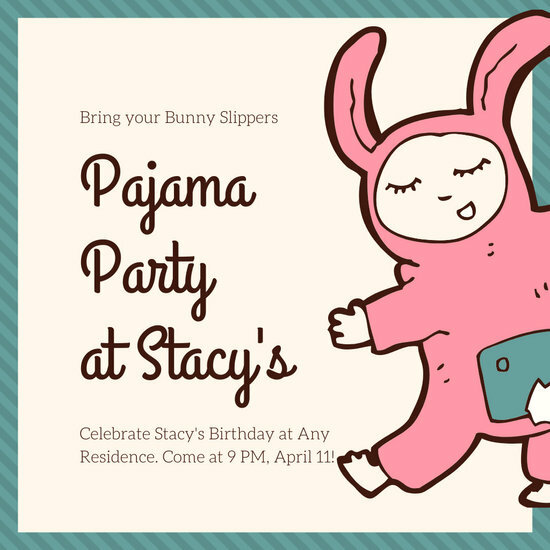 Some nights just make you want to kick back and relax. 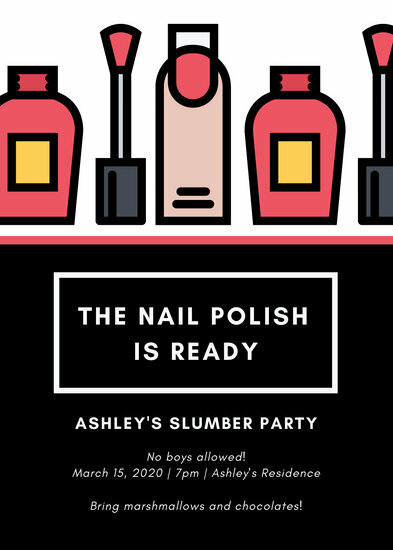 Who needs to go out to have fun when you can have an awesome party in the comforts of your own home? 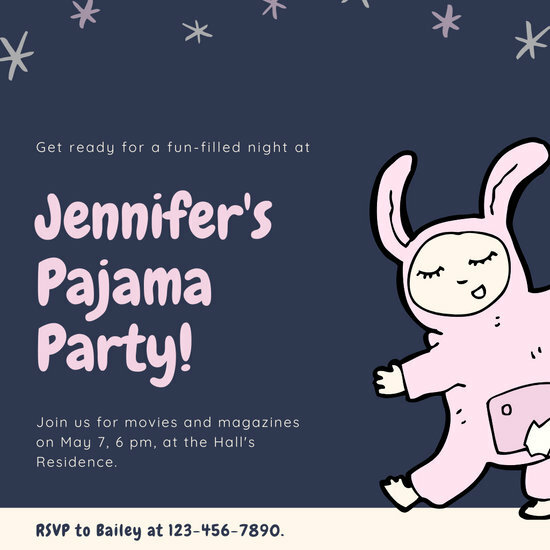 Party it up pajama-style by donning your favorite jammies, gathering your friends, and snacking on your favorite popcorn. 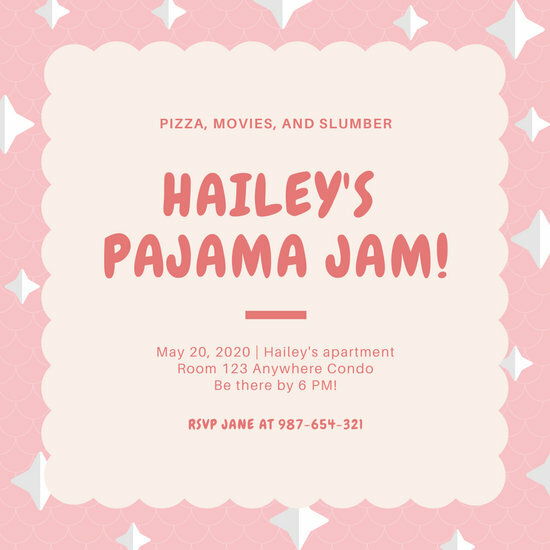 Bond and entertain yourselves by sharing intimate stories with each other, or you can choose to watch a lineup of your all-time favorite movies or a no-fail television series. 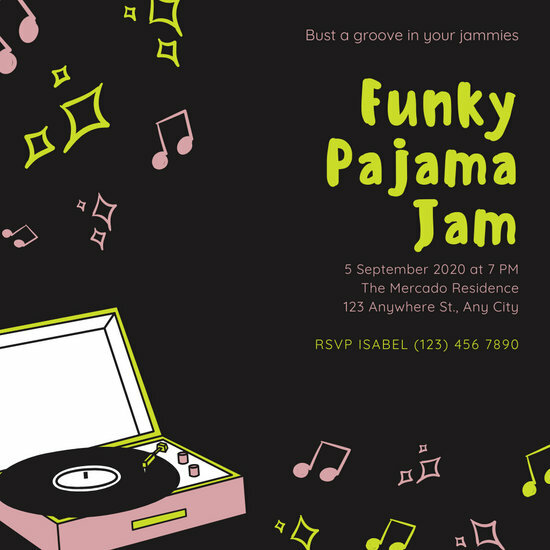 When you're having a pajama party in your humble abode, you have complete control on how to have fun, so get creative! 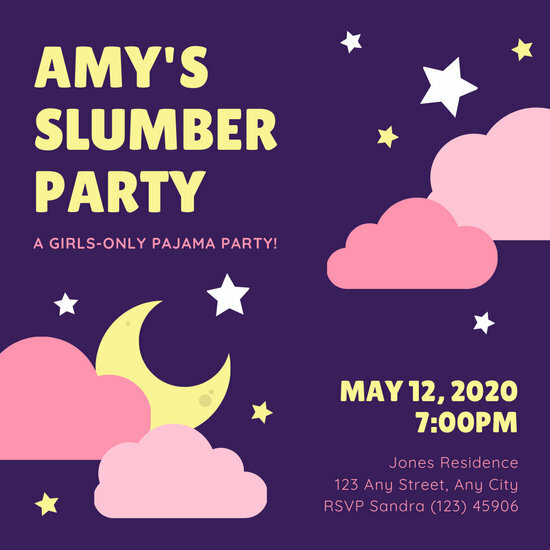 Organize a successful pajama party by getting the word out to your guests. 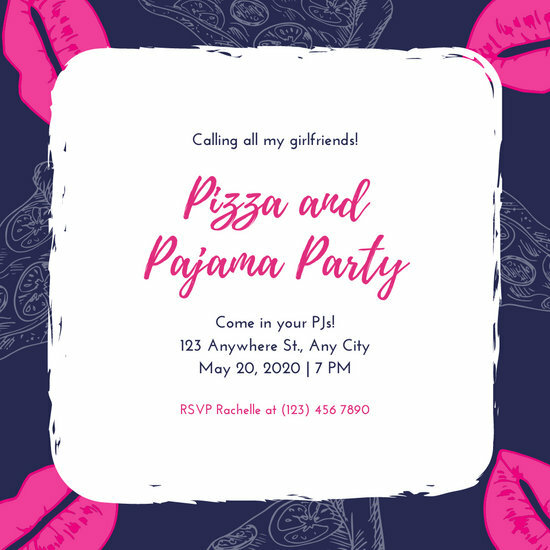 Although a simple text or online message would suffice in this digital age, why not take it up a notch by creating your very own stunning invitation? 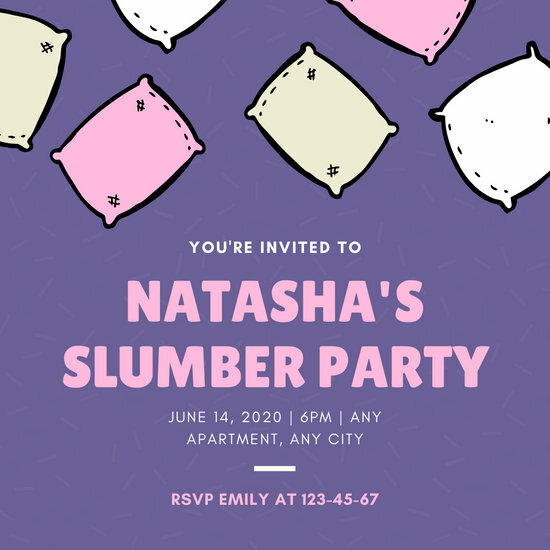 A beautiful invite not only commemorates the event in a special way, but also makes guests feel extra special for being invited. 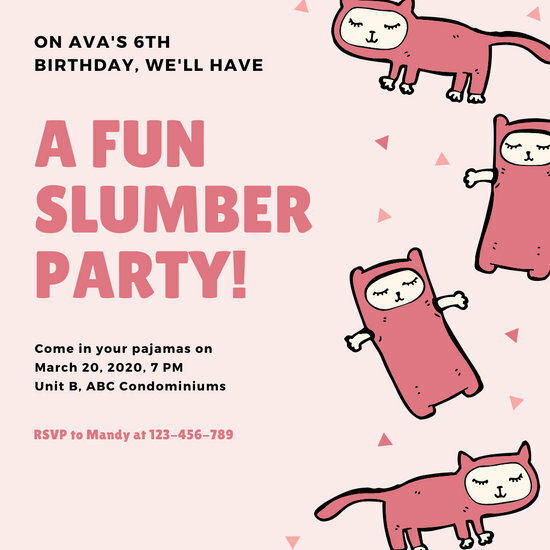 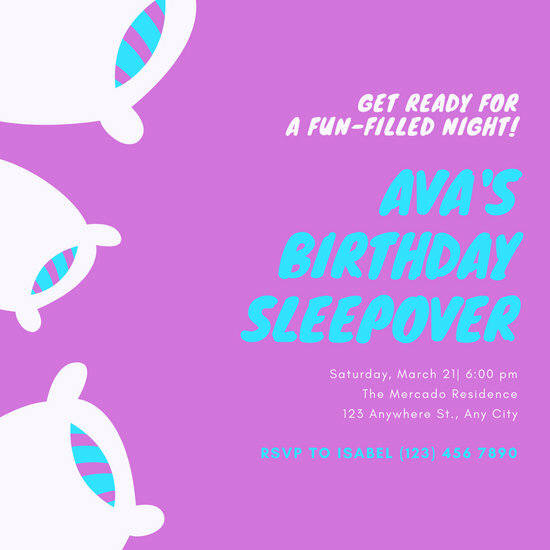 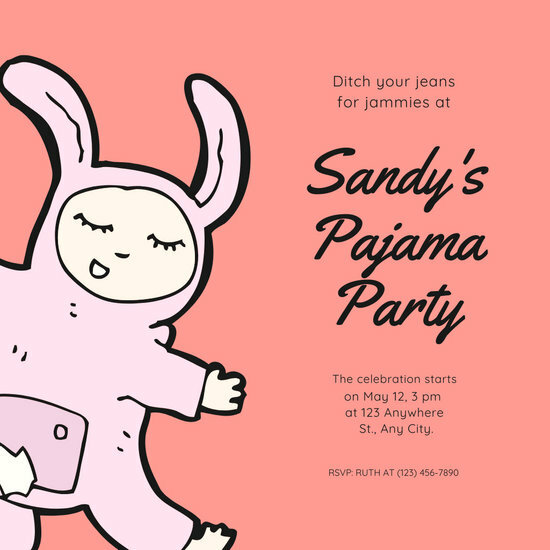 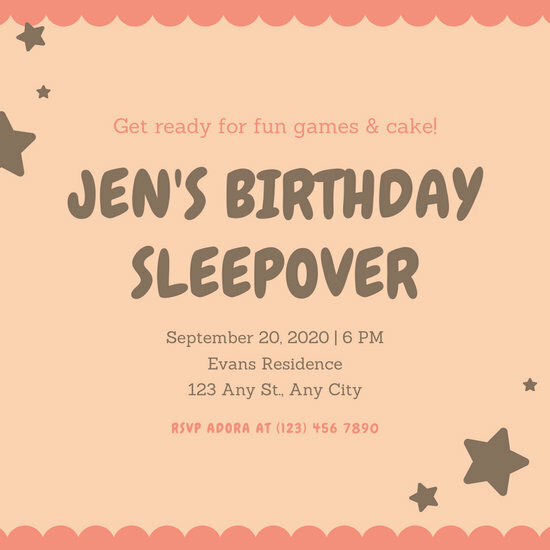 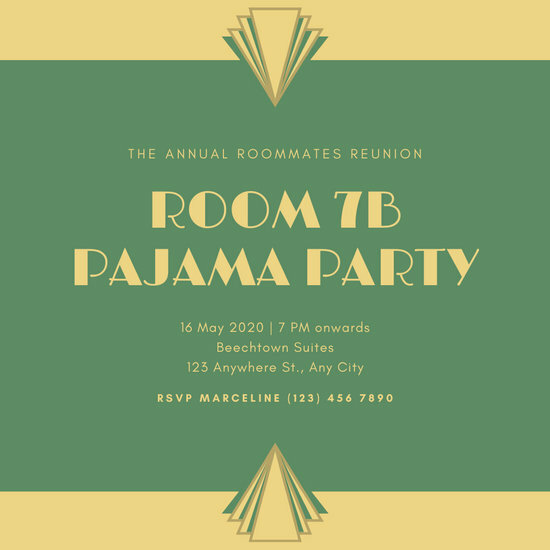 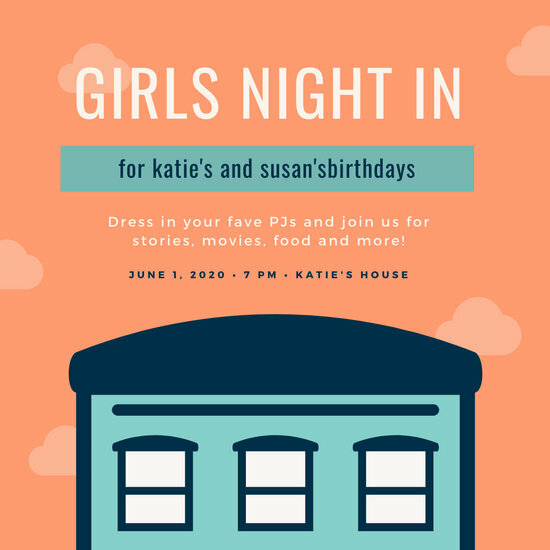 With Canva's convenience and ingenuity, you can go ahead and create an awesome invite that will make your pajama party an event not to miss out on. 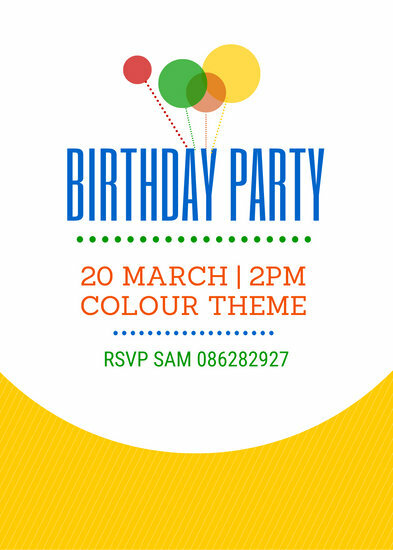 Canva is a graphic design software with over millions of professionally designed templates that are free and customizable. 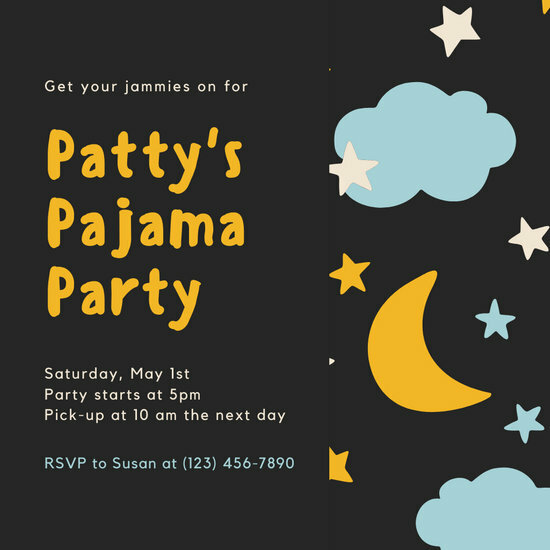 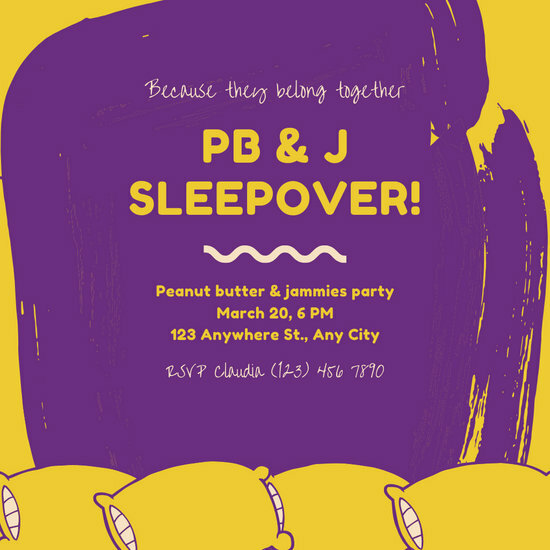 To create your own stunning pajama party invite, simply sign up and navigate Canva's intuitive interface. 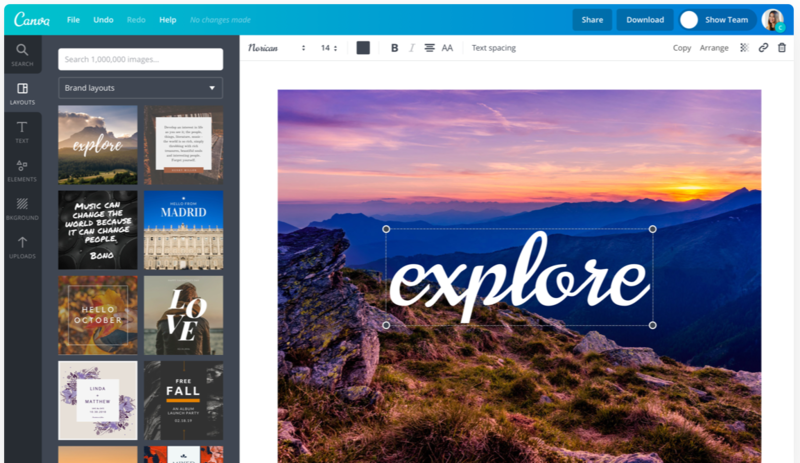 With its user-friendly drag-and-drop tool, you can easily edit your template's design elements like a pro. 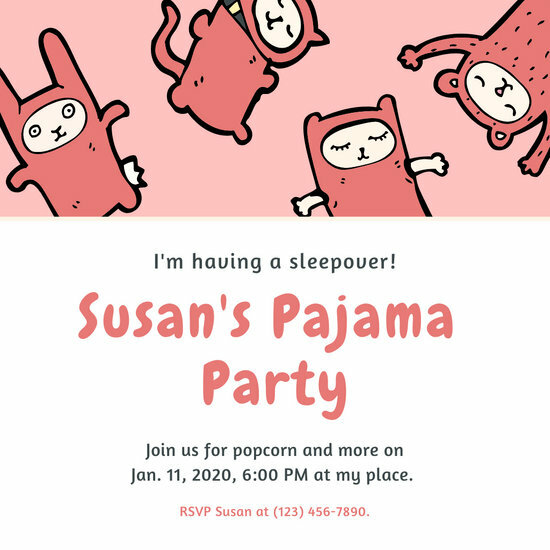 After modifying your invite with the perfect illustrations, shapes, colors, and fonts, download the file for printing or share the invite directly to Facebook from Canva.